Are You A Man Seeking And Hoping For A Fair Shake In Your Divorce? Good Luck. 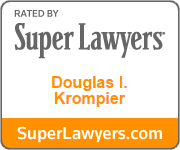 At the Law Offices of Douglas I. Krompier MBA LLC, we have worked with many hundreds of men in divorce cases. We are understandably struck by the degree to which men are discouraged about their chances, even before the process begins, believing that they’ll “take in the neck” at every stage in the family transition. If The Playing Field Is Uneven, What Do You Do? You make it level, that’s what you do. Your best weapon in a divorce, custody hearing, child support or alimony matter is an experienced and aggressive lawyer who knows the law, who can detect these subtle biases when they show themselves, and will fight every inch of the way for your equal rights and the rights of your children. We have a positive attitude about your prospects, and so should you. Yes, we represent men and only men. Yes, we have the financial skills — Monmouth County divorce lawyer Douglas I. Krompier of Freehold has an MBA degree and a long history of success in New Jersey property division— to protect your assets , custody battles, and fair and reasonable support obligations, whether you are to be the payor or the recipient . Yes, we accept payment by credit card. If your children and your life assets matter to you, and you are searching for high-quality representation in divorce or any other family matter, hire the most experienced lawyer you can find, one who understands all of the related disciplines that comprise your divorce, from finance and taxation as well as custody and parenting time issues that will affect the future of your kids. In Monmouth, Middlesex and Ocean counties, that’s experienced family law attorney Douglas I. Krompier at (732)431-9188. Call him today, or describe your situation in a single sentence using this email form.